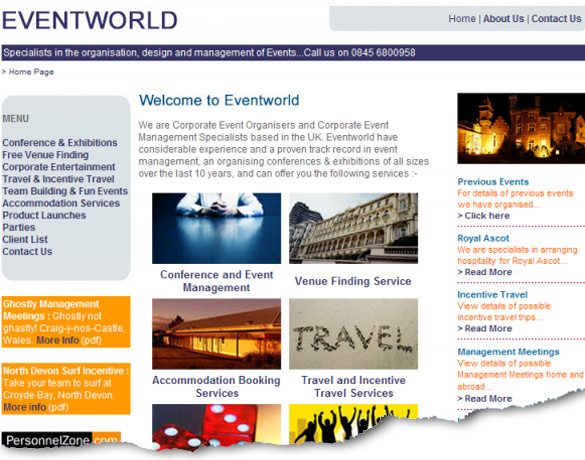 Eventworld approached us about our corporate website seo services for their corporate events website. They were interested in achieving a high ranking for their site. As part of the project we redesigned their site and gave it more of a contemporary feel. The site was quite well established, so the optimisation process was slightly easier than if the site had been new. After we had carried out a seo review of the site, we updated the copy and optimised it for the client. The site also needed a few more backward links set up for it, so we embarked upon finding a few more relevant links for the client.